Since we first released our ground-breaking APOLLO phantom-powered stereo ribbon microphone a decade ago, it became a must-have for studio owners, venues, composers and sound stages all round the world, from Glyndebourne Opera House to the Malibu studio of composer Trevor Morris, from Paul Epworth’s Church to Abbey Road Studios (where their pair of APOLLOs is used almost daily on their Steinway grand piano and over the orchestra or choir for most of the Hollywood soundtracks recorded in Studio One). Following years of development with our other microphones, and our exciting experiments with higher and higher quality components (resulting in our multi-award-winning, beautifully crafted ARIA and MERCURY valve microphones), we decided to apply and incorporate these same improvements to our ribbon microphones. And so APOLLO 2 has landed (along with SIGMA 2 and DELTA 2) to take your recordings to an astoundingly high level. Like the original, our APOLLO 2 boasts two highly sensitive ribbon elements set in an X-Y Blumlein configuration, ideal for all stereo miking applications. 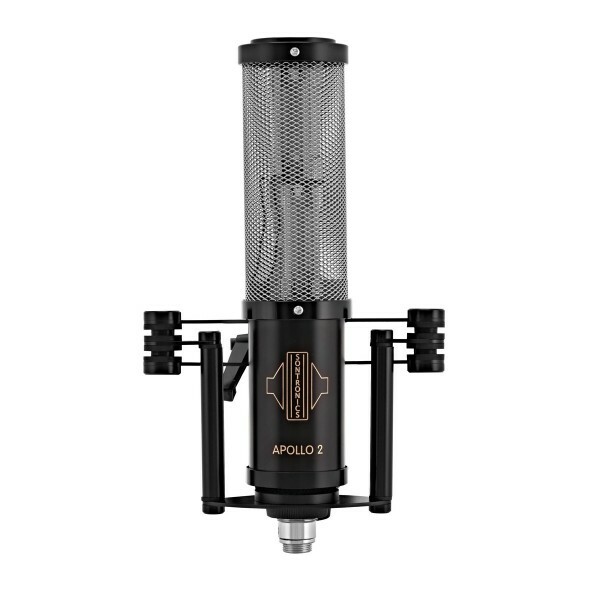 APOLLO 2’s uniquely designed, laser-welded cylindrical grille enables the microphone to capture a truly stunning and superbly accurate three-dimensional image. 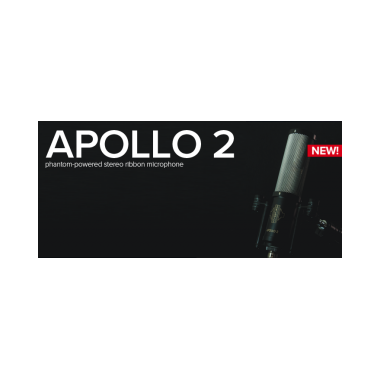 This means APOLLO 2 is perfect not only for orchestral, choral and piano recordings, but also for capturing the ambience and character of your entire recording space. 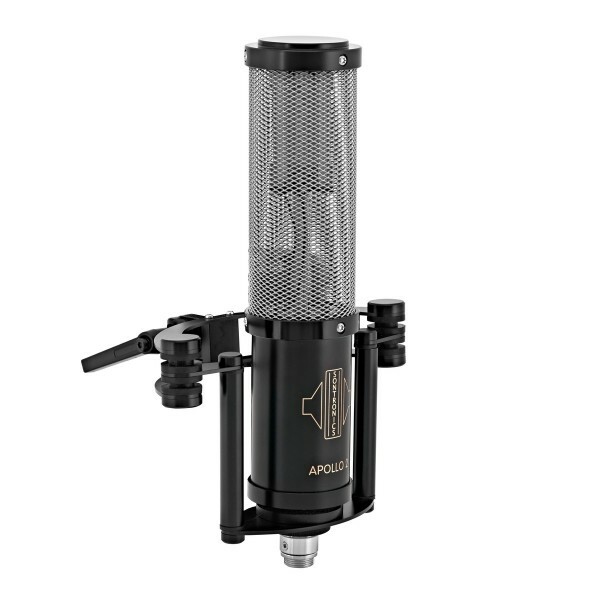 APOLLO 2 also works amazingly well as an overhead microphone for drums and percussion or smaller instrument and vocal ensembles, giving natural, expansive results with perfect detail and clarity in the high frequencies and a balanced depth and fullness to the mids and lows. If required, either of the two ribbon elements can be used in isolation, enabling APOLLO 2 to behave as a mono microphone. Getting the best results from APOLLO 2 is effortless! Thanks to its phantom-powered circuit design and custom-wound, UK-made transformers, it requires very little gain and no EQ. Furthermore, our engineers have incorporated RFI (radio frequency interference) filters into the electronic design (ours are the only ribbon mics in the world to have this feature) to ensure that APOLLO 2's signal is kept crystal clear, whether being used in a recording studio or an live venue. 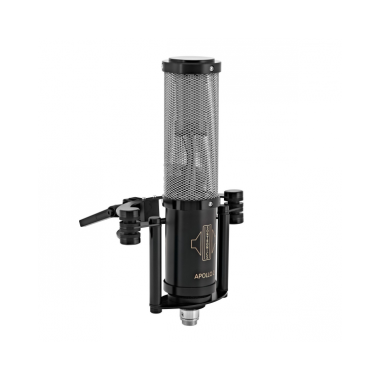 APOLLO 2 is designed as a distance recording microphone and should be used with care as the ribbon elements are very exposed and extremely delicate. However, with sensible placement and careful handling, APOLLO 2 will bring you immense satisfaction for many years to come. For more information about using and caring for your APOLLO 2 or servicing your ribbon elements, see our User Guide here. The microphone is supplied in a sturdy, foam-padded ABS flightcase together with its unique shockmount and stereo cable. APOLLO 2 really will take your breath away and impart a professional quality to your reordings hat you didn’t imagine was possible! 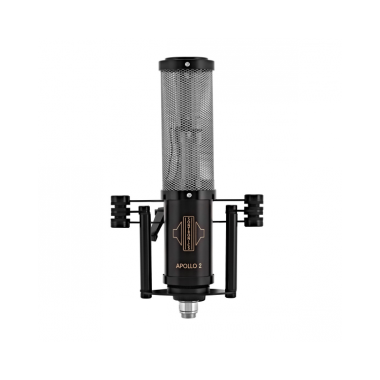 Like all Sontronics microphones, SIGMA 2 is protected by our LIFETIME WARRANTY, although the ribbon element itself is not, as it is subject to varying levels of wear and tear depending on how it is used.